The completed design. I followed the pattern of the fabric and only beaded the flower motifs. I’ve been doing some bead embroidery. This all started while I was ill, I had a day off work because I was all foggy headed (which is kind of unsafe in my line of work) but by this point I was very bored by just sitting on the sofa. 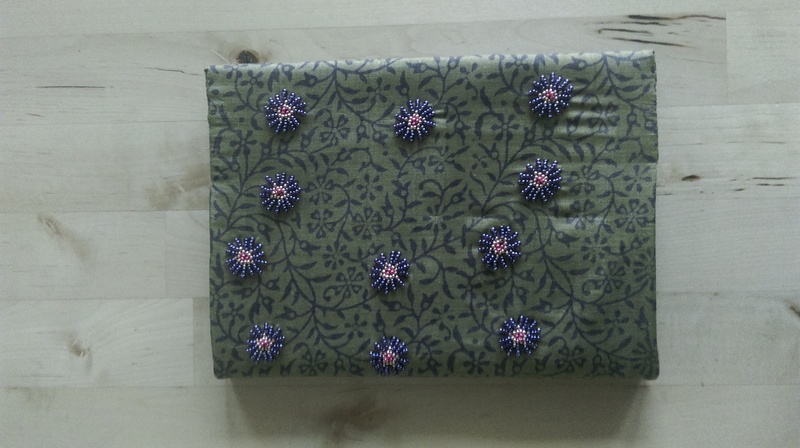 So I got out my sewing machine and used the time to whip up a cover for a diary that I’m planning to gift at christmas. However while looking through my fabric stash I became inspired by this green silk and all the opportunities it afforded for embellishing. 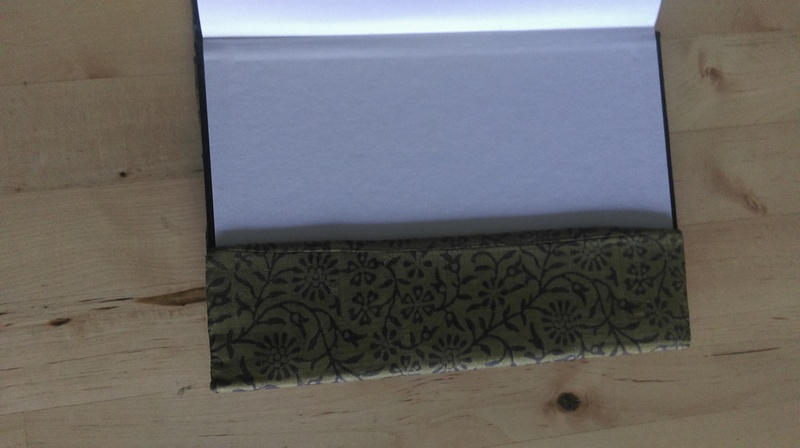 Simple fold-over to create a removable cover. The silk is lined with some thin fleece for stability. Fortunately my inspiration lasted longer than just sewing the cover. It took me roughly 1.5 hours to do 2 flowers so I think being able to spread it over several I nights but still feel like I’m achieving something definatley kept the momentum going. Even though the ‘moment’ has ended up being two weeks. In fact I’ve been enjoying it so much I bought my self a diary with intention of doing some improv bead embroidery, so lets see how long before I get bored. I won something. This is very unusual. And yes I know most raffles/giveaways ect are chance based but everyone knows someone who always wins, don’t they? Christmas fabric. 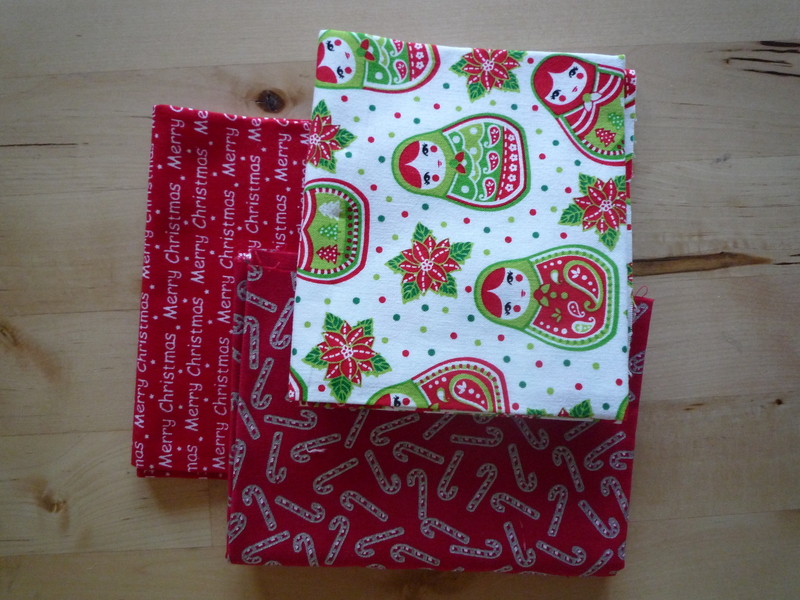 The russian doll fabric is beautiful and the other two are fun. I’m currently at a point of my life where I still go ‘home for christmas’ despite considering my flat home the rest of the year. This means that I don’t really have christmas things, the few ornaments I’ve bought myself, live with my parents. So I think these fabrics will go into my box under the bed until I find a project destined for them. Ribbon. How beautiful are these these? Last year I made a really pretty christmas cards, with ribbon twisted into tree shapes (trust me on this one, thats not the best description). Trim. I have a feeling this might end up on christmas cards aswell. Other bits. 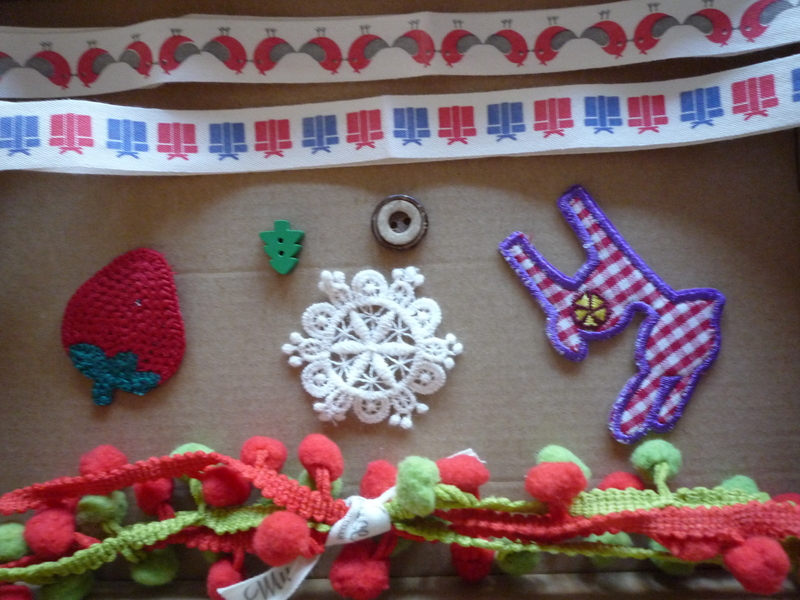 This included: tree buttons, wooden buttons, a lacy star and some iron on things – Do they have a proper name? 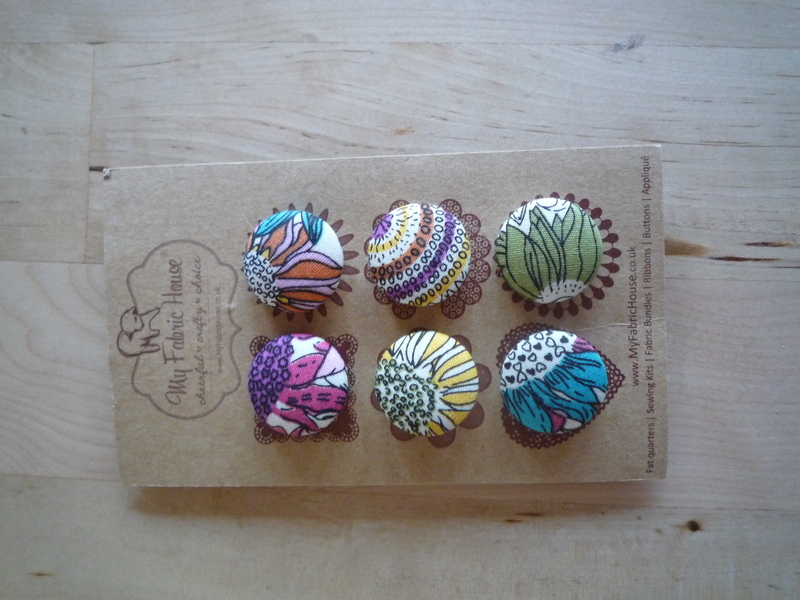 And these buttons. Aren’t they gorgeous? I have no idea what they’ll end up on but I’m looking forward to using them. So thank you to Ali and my fabric house and my lucky stars, I’m going to enjoy all the bits and pieces. It feels like I’ve actually managed to do quite a bit of making recently. Unfortunately some of that’s cos I’ve had no energy or drive to really leave the house. Oh well, fingers crossed next month is a little brighter. The blanket. I finally bought some more wool, it should arrive soon. I got a little spooked when I couldn’t find the right colour on the John Lewis website. Fortunately I found some online and ordered it straight away. The beaded bag. This one I still need to go shopping for. The summer scarf. I have nearly come to the end of the ball of yarn and I still need to decide how I go about making it longer. My sisters necklace. Yeah I know – I should get going. The wire wrapped seaglass necklace. A necklace. Just simple bead stringing, it was for a friends birthday and I forgot to take a picture, sorry. I have an itch to do some more beading, I have a necklace pattern so I just need to decide on the colours. I’m sure I will have it on the WIP list for next month.